After I published the Introduction to the University Recommended MEXT Scholarship in September 2015, MEXT cut the number of General Category slots for the 2016 start. Here are the new figures for 2016. If you’re reading this after 2016, then all I can say is that the only constant is change. Be aware that slots may increase or decrease. I’ll stay on top of it as best I can, but keep in mind that the number of slots is only officially announced after most universities’ application deadlines. For this reason, I would say that the Embassy-Recommended MEXT Scholarship is your best shot moving forward. In 2015, universities could recommend up to 15 extra candidates for the Monbukagakusho Scholarship, if the university was willing to foot the travel bill. In 2016, that number is now 2. When you consider that the maximum number of general category slots available to non-Top Global University program universities is now 7 (down from 8), this represents a huge cut: 23 possible slots in 2015 to 9 in 2016. And that’s assuming that the university is already hosting over 1800 self-financed international graduate students (only 2-3 universities in Japan meet this criteria). This means a lot of universities lost a general category slot. For an updated list, please refer to the original chart. A lot of applicants that would have been in last year are now going to be left out in the cold. So it is more critical than ever to make your applications as strong as it can possibly be! I hope you are doing well. I am Yegane, from Iran. i have applied for Ph.D. program, Kobe university, graduate school of engineering through university recommendation on December 2017, and in February i have been interviewed by the professors via Skype. in March, I have been told that : She (me) was recommended by the Graduate School of Engineering, became a candidate of Kobe University. Whether this candidate will be adopted from the Ministry of Education will be notified in June. Candidates are not always adopted, so please be aware in advance. they have not told me about the number of applicants or the chance! could you please help me about my chances of getting the scholarship according to you experiences? I saw that you left a similar question on another post and answered it there. My name is Emmanuel Haruna, I passed MEXT preliminary screening but the selected Universities are rejecting my admission. what should i do? Congratulations on passing the primary screening. I am sorry to hear about your challenges, though. At this point, it is too late to contact additional universities, since you had to contact them before August 31. If all of the universities you applied to have confirmed that they will not issue you a letter of acceptance, I would recommend that you contact the Embassy to ask for their guidance. However, if you are still waiting on replies from some of them, I would wait until those come in. You only need one LoA, so don’t give up hope! I am Azharul Haque. I am from Bangladesh and I am a B.Sc Engineering student in course in last semister. A few days ago I contact with a Japanies Professor about my research interest. He told me to apply for scholarship. But my B.Sc will complete April, 2018. In this case am I eligible to apply for scholarship? If you haven’t started your application yet, then the next opportunity you would have to apply would be the University-recommended MEXT Scholarship this October/November. If you apply this year, the start date would be September or October 2018, after you finish your degree, so you would be eligible. The exact application start date depends on each university. It sounds like you’ve already contacted a professor and have a university in mind, so now it’s just a matter of checking their website regularly (beginning in October) to see if the scholarship application period has opened. Thank you so much for the step by step process you’ve shared with us here! It really helps a lot during my application process! So, I did actually get the approval from Japan Science and Technology Agency for my pHD project in Tokyo university and after that, Tokyo university recommended me for the scholarship in Feb 2017 under SATREPS category. It was stated that the result should come out by end of Feb. I’m very nervous now since the result still hasn’t come out yet! Is there any chance of me not getting the scholarship even with the acknowledgement by the agency? I’ve never researched the SATREPS scholarship before, so I don’t really know how likely you are to receive that scholarship. However, in every case I’m aware of, both successful applicants and unsuccessful applicants receive a notification at the same time. So, if you haven’t heard anything, that doesn’t necessarily mean you’ve been rejected. MEXT being late is a strong possibility. I would recommend checking the university where you applied to see if they have heard any updates and when they expect the results. I am nisrine and I have contacted you before regarding the MEXT scholarship, university recommendation and you were a great help so thank you again!!!! As I said before I have been recommended by Nagoya university to get the scholarship (I was not told that I am an extra!!!) and i truly want to know how are my chances to get it because i don’t know what is the slots for Nagoya uni (the professor told me, before I were selected by the university, and that only one student will be recommended in each school and then 11 in the whole University. I also don’t know whether I am a PGP or general category, all i know is that my application was in December and my materials were sent to MEXT in mid- February. I would like you to help me and give more information as you always do!!! Congratulations on being nominated by the university for the scholarship! At this point, your chances are excellent! Every student I am aware of who has been nominated for the scholarship by a university has ended up receiving it. If your materials were sent to MEXT in February, then you are in the general category (PGP materials don’t get sent to MEXT until April), so you should know your final results around May. I know it won’t be an easy wait, but I expect you’ll be hearing good news come May. Thank you so much for your help again, I will keep informing you with all the news regarding my application. Thank you for your post! I’m not sure if this is the appropriate place to ask, but I would like to know if it is possible to apply in one year both for MEXT Embassy and MEXT University recommendations (MA programs in English)? For example, Embassy in my country calls for applications in April and the decision will be made around December, while you can also submit documents to graduate schools for MEXT recommendation like Sophia University who is calling for applications in April with results in late August. So, if I assume that I magically get nominated for scholarship by the university and then they find out that I applied through the embassy as well, what are the consequences? And if I get rejected in the university’s recommendation, but not admission, will that affect embassy’s decision later? The Sophia announcement you’re referring to is a Top Global University “domestic selection” scholarship category, although it looks like you can still apply from overseas for this one. (That’s a pretty interesting approach – I’m going to have to see if more universities are doing that). Even though the final results are announced in late August, Sophia will let you know if you have been recommended for the scholarship in early June. Since the number of scholarships granted to each university under this scheme is fixed, if you are recommended, you are all-but guaranteed to receive the scholarship. Your Embassy calls for applications in April, but the most important thing you need to focus on is the Primary Screening – the written tests and interviews conducted at the embassy. The university result should be released before the primary screening is over, so if you withdraw from the Embassy process at that point, there should be no problem. If the university finds out that you applied for the Embassy scholarship, they should just tell you to withdraw your application to the Embassy immediately after you have your university results. If, on the other hand, you get acceptance to Sophia but don’t get the scholarship recommendation, I assume you will not enroll there in Fall 2017. In that case, there should be no affect on your embassy recommendation. Thank you so much! You are the only person who was able to clarify all this, for which I’m endlessly grateful. I think there may be a misunderstanding in the procedure. 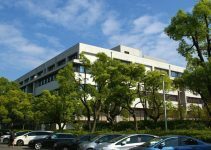 At Ritsumeikan, you need to apply to the International Office for the University MEXT admissions process. They handle all applications then distribute them to the respective graduate schools for evaluation. (The deadline is tomorrow, Dec 2, by the way). Ritsumeikan will first determine whether to accept you to the university and recommend you to MEXT or not. Then MEXT does its evaluation later. I think that’s what your professor was trying to explain. Stay focused on your research topic and its application, since that’s the part you have the most control over right now. The most important section is your Field of Study and Research Program Plan. If you are on an Embassy-Recommended MEXT scholarship then it is possible to apply to extend your scholarship and change universities when you progress from a Masters to PhD. If you are on a University-Recommended Scholarship, then you cannot keep your scholarship if you change universities. In that case, you are also not eligible to apply for a new MEXT scholarship until you have completed at least 3 years of education or research activities since the end of your last scholarship. You can, of course, apply to another university as a fee-paying student for your PhD. About the funds: No, that is not part of the MEXT scholarship. Thank you very much for your valuable information! I find it very useful. If it does not bother you, I want to ask you about MEXT university recommendation. As I have seen that Osaka University has 5 slots with 20 SGU slots, does this mean Osaka University have 25 slots in total assuming no decrease in slots? My professor said that this year is very competitive and I am bit nervous to be honest knowing that OU is one of the best national university. I applied to the Graduate School of Engineering Science. I have been interviewed via skype and my professor said my mail interview was very good. Unfortunately, I no longer have access to the document I was referring to when I wrote the original post about SGU MEXT university slots. However, I did some digging around on various universities’ scholarship sites, and it appears that my original reference may have been wrong. Multiple sources indicate that the SGU slots were for Domestic Selection, not University Recommendation, and that they represent an annual maximum rather than number of new slots per year. I will be posting a correction as soon as possible. So yes, University Recommendation would be rather more competitive than I had thought. However, that doesn’t mean you should give up, just that you need to focus even harder on success! Thank you for your reply Travis! I would also like to ask your opinion. Does international publication improve significantly during the screening process? So far, I have one international paper publication. Again, thank you for your help and info Travis! It would be a mark in your favor, especially if it was in a journal that someone from your screening committee was familiar with, but overall it is not as significant as your GPA and Field of Study and Research Program Plan. I assume if you have experience publishing in an international journal, then the quality of your research and writing is also much greater than average – that should prove an even bigger advantage for you. Most applicants I saw were coming directly from their previous degrees and had no publications, so it’s certainly not a problem to apply with one or even zero publications. Thank you for the wonderful post. My story is a long one but I will try my best to summarize it. I am medical doctor who wants to post-graduate in Hematology in Japan. After graduation, I intend to return to my country to practice as a specialist and carry out research. I began my research of Japanese Universities(Graduate School of Medicine) in May. I am from a underdeveloped country(Nepal) and have a poor economic background. Thus, I want to study under a scholarship. I applied for the Embassy recommended MEXT but my application did not make it through the primary screening. Then a counselor at the embassy suggested me the pathway of University recommended MEXT. She told me that many students(in other fields) had been successful this way. Since then, I have done my research and sent emails to over 40 universities(searched for individual professors’ email addresses in their research articles). I emailed and even CC’ed graduate school admission office. So far, I have had only 4 replies but none were positive. Lack of funds in the laboratory, saturation of graduate students and simply ‘cannot accept’ were the replies. I have a good academic standing and have many publications in peer reviewed journals. I have been commended that my resume is very good and interesting. I wish the professors thought the same. Anyways, many graduate schools’ application dates are approaching deadlines and I have reached now-where. I have full support from my Principal(Head) of the Medical school I graduated from and he has even written me a recommendation letter. I do not know how I am going to proceed since I have had no positive response from anyone. My apologies for pouring out my woes but any suggestion/help from you is very much appreciated. I’m afraid I don’t have any specific knowledge related to your field, but in case it’s relevant, there are restrictions on medical-related degrees. If you want to do a research PhD related to hematology, that would be possible. You might consider looking for graduate schools of “Life Science” for that degree. If you’re looking for something with a clinical aspect or practice, be aware that you’d have to obtain a license to practice medicine in Japan, first. I don’t know how you approached the university, but if you mentioned anything about “practice” or they misinterpreted your message and thought you wanted a program with a clinical aspect, there’s a good chance that led to the negative responses. I think you’ll have much more success applying to graduate schools of Life Science for a research focused degree. Life Sciences tend to have more English-speaking professors, too. Another possible issue is that the application deadlines for the University-recommended MEXT scholarship are usually in late November. They wouldn’t be accepting applications now. The application deadlines you’re seeing now are for April 2017 admissions as regular, fee-paying students. In most years, you won’t find info about the University-recommended MEXT scholarship available until October or November, though you might be able to find last year’s info in the mean time. One other thing I can think of is the way you approach your contact emails: Make sure your email is specific to each university. It’s usually obvious if an applicant is using the same template to email several universities and a lot of universities professors will ignore someone who does that as not being serious or really interested. (Especially if the email mentions a scholarship). I don’t know if any of that is useful to your situation, but those are the best ideas I have as to how you could improve your response rate. Thanks for all the information so far, it’s really helpful! I may be an atypical potential candidate as I am interested in a music program. I understand programs such as international politics, economics, engineering, etc would garner more scholarships, but if I put my efforts into trying for the Tokyo University of the Arts (for Masters of Music), would I be out of luck or is it just a matter of how many MEXT slots they have? I also understand that the program is in Japanese and there is the 6 month language program to help with acclimating to the language. Would I be at a further disadvantage for wanting to go into Music admitting I only have basic Japanese? Speaking to someone at the university they mentioned that the one professor that I would study under does speak English as he attended school overseas. 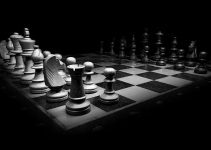 You wouldn’t be ruled out for the MEXT scholarship just because of your major. But you do have to pass the university’s entry requirements – including language requirements – first. I’d recommend checking the language requirements on the university’s homepage. If they require a specific level of Japanese and you don’t have it, then you’re not going to be able to get into the program. Even if one professor speaks English, if the program language is Japanese, then you’d be expected to do all your coursework and write your thesis in Japanese. In most cases, that means at least N2 level. The 6-month language acclimation program is designed to get you to the point where you can talk to your landlord, discuss a cell phone contract, or communicate basic needs in Japanese. Basically, the idea is to get you to a point where you can be self-sufficient in day-to-day life. It does not focus on academic Japanese and is not intended to build your language ability to the point where you could conduct research or write papers in Japanese. I have applied in Tokyo University of Marine and Technology where I am accepted as one of the candidates. That’s really not much to go on, but as far as my experience has been, universities only recommend the number of candidates that they know they can receive scholarships for, so you should be good to go! I want to know my chances. I have applied to Kyushu University G30 Undergraduate Program this winter for the October enrollment. I have been accepted and the University nominated me for MEXT Scholarship. The University stuff said that all candidates whom thay nominated for MEXT Scholarship for the last years all were accepted by Japanese Government. I understand that I have been selected for that decreased number of candidates and my chances are now more high. What do you think my chance of receiving the scholarship is? I would say that your chances are quite high! The universities would have known about the decreased number of scholarship slots before submitting the nominations, so there is no reason why they would have nominated more than they were allowed. Hello, Thank you for your hardworking. In February 2016, I have been recommended by Ritsumeikan University (in Top Global University) for MEXT Scholarship. Professor indicated that I am #5 out of 6 candidates. I don’t know whether I’m in the “extra” position or not. Would you please let me know how the possibility of receiving the scholarship? For your information and If I’m not wrong, as of April 2015, Ritsumeikan University has been had 524 graduate students enrolled there. I know that Ritsumeikan is very careful about the number of students they recommend. If you refer to the email they sent you announcing that you would be recommended, that should give you a very good idea. They would have told you if you were recommended for the scholarship or if you are an alternate. Regardless of whether you are in the “extra” slot or not, if you are recommended for the scholarship, then there is a very high chance you will be selected! I applied for Mext under university recommendation. I got informed that my application is ranked as the number one among the other applicants in the osaka university. The Mext results are supposed to come out in may but till now its not published. Im in a dilemma whether to proceed with another australian uni which i kept as a backup , as its dead line is approaching. Would it be stupid to wait for the Mext results? What do I do? Shall I proceed with this university? It’s taken me a while to catch up with the recent comments, so I hope you already have your results by now. If not, I would recommend contacting the university to ask when the results will be released. When Japanese universities or government say “in May” they often mean “the last day of May,” although I’ve seen them miss the deadline in the past, too. If you’re the number 1 nominee, I can’t imagine that you would not get the scholarship! I wouldn’t worry about it – it’s probably just bureaucratic slowness. It seems that there are only graduate students in this thread. I’m not sure if my case is a little bit different. I got accepted to Osaka University G30 Chemistry-Biology program in March and was nominated for the scholarship. I’m going to have an interview with Osaka university officers in the next few days. Does the university rank undergraduate students as well? If yes, what is my chance of getting the scholarship? This post is about the University-recommended Graduate Student Scholarship. As far as I know, the universities don’t have any role in the undergraduate scholarship program – the undergrad program is only Embassy-Recommended. Maybe your program is something I’ve never heard of, so I hope someone else can chime in with an answer. I want to find out the month that awardees of MEXT scholarship under PGP are notified. Thank you. MEXT will inform the universities during July then the universities will contact the awardees. In my experience, it was usually early-mid July when we found out the PGP results. I answer questions in the order they come in, so it all depends on how many questions are waiting ahead of you and how difficult they are to research and answer. Typically, it takes a few weeks, but I’ve been catching up lately, so you’re welcome for the faster-than-usual response time. Is it permitted to apply via Embassy Recommendation if a candidate has an active application via University recommendation ? I have read the guidelines in Japanese and English but I do not see a specific rule against it. Thank you very much for this valuable resource. That was news to me, as well. I last worked in MEXT admissions during the first year of the “extra slots” system, when the policy was still changing, but at that time my understanding was that all the candidates were accepted. It’s surprising to see such a large number that were not accepted, and I wonder what the reason may have been. Just for a point of reference, almost every year I handled MEXT applications, we had fewer awardees than nominees, but in every case it was because our nominees decided to withdraw before the results were released. None of them were ever rejected by MEXT. That could be a reason why some of the numbers are lower. I think you would be able to start an Embassy Application while waiting on the results of the University Application – I, too, have seen no rule against it. The University General Category results should be out in May. If you find out you were accepted, be sure to contact the embassy right away to withdraw your application so that someone else has a chance to get that slot! The above numbers include all the scholarships types given by MEXT (Research students, Undergraduate students, Teacher training students, Japanese studies students, etc.). Each year MEXT grants approximately 2500 new scholarships in the “Research Student” Category. Interestingly, the “extra” slots in the General Category (Research students) was implemented since FY 2014. That year, each university could recommend up to 15 “extra” candidates to MEXT. Accordingly, one would expect a large number of new scholarships available since 2014. However, MEXT only granted 254 more scholarships in FY2014 in comparison with the previous year. As a conclusion, we can infer that many applicants recommended to MEXT under the “extra” slots were rejected in 2014 and 2015. Since Fiscal Year 2016, each University can recommend only two “extra” students for the MEXT Scholarship. Good Luck to all the applicants this year…! I’m glad to hear that you confirmed there was no problem with your situation! Thank you for the chart! I do have a few quibbles with your conclusions, however. I could probably write a whole post on MEXT math, but here are a few cliffs notes so that readers don’t misinterpret the chart. 1) In 2014, universities could recommend only 2 “extra” candidates, and they were allowed to make students pay for their own travel fees. That year, there was an increase of 250 scholarships awarded (vs an increase of 140 in the previous year). 2) In 2015, universities could recommend 15 “extra” candidates, but the universities had to pay for their flights- they couldn’t pass that expense along to students. That year, there was an increase of only 3 scholarships awarded. The conclusion I draw is that universities don’t want to foot the travel bill, so they didn’t take advantage of those 15 slots. Financially speaking, that decision makes sense. 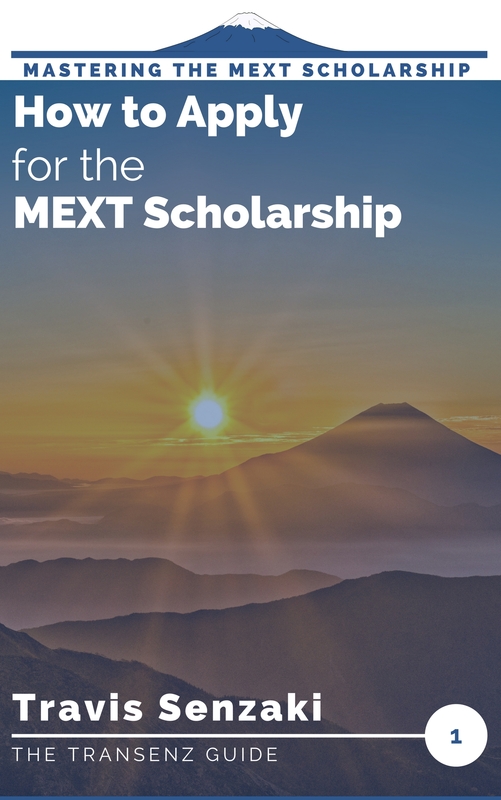 For Embassy-recommended scholarships, MEXT pays the students’ tuition to the universities, plus the stipend for the students (directly for the students). For university-recommended scholarships, universities get no tuition payment. So, there is no profit in accepting university-recommended MEXT scholars. As long as it’s a plus-minus-zero situation (if the university doesn’t have to pay for the students), then it makes sense to keep accepting students if possible, as they are theoretically top-quality students from around the world and will contribute to the university. But when the university starts losing money for each student they accept with the “extra” slots, and many universities are facing budget crunches, it becomes less tempting to accept more students. It is entirely likely that the change back down to 2 “extra” slots this year is because most universities weren’t taking advantage of the “extra” slots, anyway. That’s my two cents. But thank you again for the reference! Sorry for jumping in the conversation but I must say the information given above really make sense for my case. I’m Tracy from Vietnam, applying for Nagoya university for this October enrollment (master course) ad having been recommended to MEXT by the international student office. As part of my application process, the university asked me to filled in a form stating that I will decline to receive any travel expenses. From what I’ve gone through your talk, I assume that I am being one of the “extra” slot for Nagoya University… That being said, what do you think the chance would be for an extra recommended applicant? Thank you for your comments – I welcome anyone to jump in! That’s interesting that MeiDai (Nagoya University) asked you to waive travel costs. I was under the impression that the university had to cover those . . . I’ll have to do some more research. We had to have students decline travel costs for going home at the end of their research on a regular basis, if they stayed in Japan to work, for example. It does sound like you are in the “extra” category, or perhaps a classification that I have not heard of. I have not heard any direct reports of an “extra” nominee being denied the scholarship, despite the numbers we discussed earlier. In my experience, everyone who was nominated by our university and who was not specifically told in advance that they were an alternate, was awarded the scholarship. Based on my knowledge, I think your chances are good! Please let us know how it goes for you after the final decision. I was applied to Tohoku university for Ph.D. in the school of life Science and last week I received the acceptance letter from Data Science Program (DSP) that we accept you as Research student and also mention that we Recommend your application to MEXT you will have to wait for the final decision by MEXT in June. What are the chances of my Scholarship? Thanx. That sounds like you have a very good chance to me. Tohoku University should know the number of slots that they have and make their recommendations accordingly. Since they told you your results in April, it sounds like you were probably recommended for a PGP program, which has a specific number of guaranteed slots each year. I hope you get the results you’re looking for in June! The decrease in number of slots was announced in December, so if you were recommended after that, you should have nothing to worry about. Thank you for your hard working to give us helpful information on MEXT scholarship. I have applied to the Master Program in Economic Develepment, Graduate School of Economics, Ritsumeikan University. Fortunately, I have been nominated to MEXT by the university to get the scholarship. They said that the final result by MEXT will be announced by July 2016. I wonder if this is a PGP. How can you know a program is a PGP? I’m from Vietnam and according to some marginal information, the program has nominated at least 3 Vietnamese students (including me) this year while they nominated 4 Vietnamese students last year (of course, all of them finally got the scholarship). It is really a long way down the road and I’m worried much about the result as I don’t know my ranking between nominated candidates and the program even held an extra call for applications during March 2016 (my application period was around Nov 2015, btw). From your point, how big is my chance of getting the scholarship? Thank you so much again and I am looking forward to your reply. It’s hard to tell whether a program is a PGP program unless they announce it themselves. MEXT used to publish that information on their website, but I haven’t been able to find the results for the new programs for the past few years. I checked the MPED homepage, but couldn’t find anything there in English or Japanese. Was the additional call for applications just for the Graduate School of Economics? If it was, there’s a good chance that the program was selected as a PGP. Usually, a university is only going to call for additional nominees for the MEXT scholarship in a specific field if it does not have enough to meet the PGP scholarship quota. If that’s the case, you’re golden! Hello, First of all, I would like to offer my sincere thanks. I am Md Niamul Islam, from Bangladesh. I submitted my application to Nagaoka University of Technology for master’s program on civil engineering in October 2015. I took interview through Skype on December 8th, 2015. On January 21, 2016, the university has published the result, where I was selected for the “International Graduate Course for Continuing Professional Development”, in Graduate School of Engineering for academic year 2016. They have also informed me that (” Also, your name has been listed as one of the candidates for the Monbukagakusho (Japanese Government) Scholarship nominated by our university. Monbukagakusho will make the final selection based upon the qualifications among the candidates. We will notify you the final result in July 2016.). They have selected total 10 candidates for Masters program. Now, may I request you to know about the possibility of gaining the scholarship? Thank you so much for your valuable time. I am glad to hear that you found the information here useful. There are two categories of MEXT Research Scholarships – General Category and PGP. Of those, the results of the MEXT screening for the General category are released in April, typically, while the results of the PGP are released in July. For PGP scholarships, there is a set number of scholarships per program per year and, at least as of the last time I checked, if you were recommended for the program then you were considered “provisionally accepted.” That means that unless MEXT finds a problem that results in you being ineligible (very unlikely), you would be awarded the scholarship. If they have selected 10 candidates in that program, then 8 are primary candidates and 2 are alternates. But they should have told you if you were an alternate. MEXT has the final say, so we can never be certain in advance. But you don’t need to worry about the decreased slots I mentioned in this article – that does not apply to PGP. Although you have already replied the answer on other blog, but after reading this blog I am little confused here. I have applied in Tokyo Institute of Technology, that has 4 extra slots as per the table. I want to know how many slots Tokyo Institute of Technology having for general category? Also I do not know what is meant by General category, I assumed I have applied in General category. Professor indicated that my name is almost in middle, so I am not sure how many number of students are there in that list. Could you please give me some hint about my selection. The “4” you’re seeing in the table is the number of General Category slots. Each university has 2 “extra” slots, if the university agrees to pay for students’ travel to and from Japan. 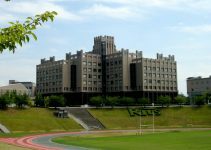 Tokyo Institute of Technology is a Top Global University Category A school, which means that it should have an extra 20 slots from that fund, as well, although this number is subject to change. Without knowing how many names are on the list, it’s hard for me to compare the middle to a fixed number. But, if you are in the middle of the list of students recommended to MEXT, then you should be in very good shape. (If on the other hand you are in the middle of the list of all applicants, then you probably have very little chance). In your experience, the “extra” candidates that are recommended to MEXT usually receive the approval of the Ministry ? In other words, the “extra” slots available to Universities are actually granted by the Ministry? In my case, I received the second highest score between the applicants at Oita University. The International Office said that I would be recommended to MEXT as one of the “extra” slots. That is, I am #2 out of 3 in the list (1 “regular”and 2 “extra” slots)…. I see you found that post before I replied to your last comment! The “extra” slots did not exist when I worked with the applications, so I don’t know about them directly. However, if MEXT says “you can recommend 2 students,” that almost always means those two students will get the scholarship, so long as they are qualified. So, in your situation, it sounds like you are in a very good place! PS, Thank you for signing up for the mailing list on my other site!